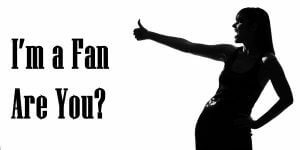 Im a Fan of Meraki Salon & Spa... Are you? Fill in the below form and you can recommend ‘Meraki Salon & Spa’ to a friend or family member via a text message. Show your support with a quick share of ‘Meraki Salon & Spa’. Cleopatra is very friendly and helpful. She takes her time. I’ve really enjoyed each experience I have with Meraki. Love the atmosphere and Jessica Browns work! Always knows how to make you look and feel beautiful! Very welcoming environment. I wasn’t sure exactly what I wanted but my stylist was very knowledgeable and helpful. My hair came out perfect. We have been clients for many years and absolutely love the services and talent here! Trish is the best. The salon is very friendly and they do a great job. Meraki Salon and Spa is AMAZING! You are not just a customer there. The staff gives you personal care. They listen and remember! This salon and spa is beautiful. The decor is relaxing. It’s emmaculantly kept. I would recommend this salon and spa to anyone that wants great service with a personal touch!!! Jess is great! I highly recommend her to anyone! Jess is the best!!! She’s amazing! Absolutely the best, friendliest service and very knowledgeable staff. Atmosphere is top rate. I have been getting my hair styled by Cleopatra, the owner before she opened Meraki. I would follow her anywhere. She is the best at what she does and her passion shows in everything she does. Highly recommend this place to everyone. I’ve been a client Tim Jones for close to 20 years now. He’s the only one I trust to color my hair. He is wonderful. The newly renovated salon and spa is beautiful! I’ve seen Raven Sellers for a facial and she does an awesome job. Will definitely see her again! Meraki Salon & Spa is a great place to get your hair done! The staff is so friendly and down to earth! They are always attending additional trainings to stay current with beauty trends! I wouldn’t go anywhere else!! Trish has been cutting my hair for years! There’s no one else that compares! I’ll travel any distance for her to cut my hair!! The staff is always warm and welcoming!! Best Salon! They are always friendly, up on the latest trends and lots to offer with the new spa. Excellent service! It’s not just a job for these women it’s a passion what they do! Cleopatra has been my stylist for years! She is extremely talented and very accommodating! Highly recommend Meraki Salon & Spa! Meraki is an excellent place to go for hair or spa treatments. Everyone is super friendly and they always have the latest and greatest products! Meraki is a beautiful salon with super nice people to take care of you through your whole time there. Jess does an amazing job with my hair and everyone else is very friendly and warm. I would recommend this place to anyone who wants a great quality product and a experience with great people. Meraki comes HIGHLY recommended by me!! Myself, my daughter and her entire bridal party SHINED thanks to them! The best man said he never saw such a good looking bridal party!! Meraki salon is the best; from the moment you walk in the door until you leave you are greeted and taken care of by an amazing staff. Tim has been my stylist for over 20 years and offers an amazing knowledge and expertise like no other. All of the staff is super friendly! Marcella has done my hair twice and I’ve been happy with the results each time. The salon is beautiful and very clean. I definitely recommend Meraki for anyone wanting beautiful hair and a wonderful experience! Jessica is amazing personally and professionally. She is fantastic at what she does. My husband even loves going to her!! My friends ALWAYS comment how much they love my hair. Again, she is amazingly talented. Jess was so wonderful! Treated me like a long time client on my first visit with her. Easy to talk to and took her time, despite being busy. I can’t remember the last time I was so happy with how my hair turned out. Am looking forward to my next appointment! Jess Brown and the rest of the staff are amazing! Everyone is friendly and helpful, I’ll never go anywhere else. I absolutely love Meraki! It’s not just a hair cut, it is an experience. Everyone is so friendly, the atmosphere is calm and relaxing, and the decor is beautiful. They are always up to date on the latest hair trends and products. I always leave there feeling pampered and fabulous! Jess always does an amazing job. I’m never disappointed leaving the salon. She takes her time caring for my hair and also makes the experience very enjoyable. Best service around! Such a great and relaxing time! The spa is simply beautiful and a fabulous place to “retreat” for a bit. The staff is super friendly and so good at what they do! I have always been so pleased when leaving. I highly recommend them! Jessica Brown. Hands down is the best of the best. She helps me express myself while staying trendy. And has taught me about my beauty from within as well as what’s on the outside. Trish keeps her business clean, friendly, and affordable. You can feel the love and friendship between the staff and the rapport they have with their clients. I absolutely love Meraki Salon/Spa. They are a gem in Chambersburg and you are always greeted with a warm welcome. I have had the same hairdresser for 6 years and wouldn’t dream of going anywhere else! Meraki Salon is the best! I have been going to Trish for many years. I moved away and tried other salons, but ended up back at Meraki (3 hr round trip). That should tell you how amazing they are! The atmosphere is great and everyone is so nice! I’ve been going here for a couple years having Jess Brown do my hair. I couldn’t imagine going anywhere else. When you go in your not just a client they make you feel like you are a long time friend and family. Not to mention I always feel amazing after getting my hair done, best feeling ever and I always recommend Meraki to anyone looking for a hair salon. I have nothing but great things to say about the employees at Meraki. Jess has done my hair for many years and always does an amazing job each and every time! I very much enjoy my visits in their friendly and relaxing environment. We love the atmosphere, the staff is friendly and knowledgeable. We look forward to appointments with Trish and are always very pleased with the service we receive. Always recommend Meraki Salon and Spa to others. Meraki is my number 1 go to hair Salon, hands down!! Every one of them in there make you feel like a person and not just another dollar bill walking in the door. Jess does my hair, every time I get out of the chair I feel like a million dollars!! I’m so thankful and blessed to have Meraki and their employees in my life. I’ll never let another salon touch my hair-ever.. It’s like heaven when I walk in.. My own little time of therapy ❤️ Thanks for all you do ladies!! Everyone is always super friendly and attentive! Jess is amazing and always does an phenomenal job on my hair! I always tell everyone to come here and get their hair done! I absolutely love the way Jessica Brown highlights & cuts my hair!! I love this Meraki Salon & Spa! When you walk into this amazing and immaculate business you feel like a rockstar. Everyone there greets you with a million dollar smile and offers you a refreshment while you shortly wait for your stylist to be informed that you have arrived. The artists here are very friendly and on point with any idea or style you want. I personally have uncontrollable curly hair that I can not anything with. Somehow Jess Brown has always help me feel like and look like a goddess every time I leave the salon. I will not go anywhere else. Best Salon around! Jess Brown is phenomenal! She always gives me the perfect cut and color. I cannot recommment Meraki Salon enough! Best place in Chambersburg. Jessica Brown does a fabulous job with color. I’ve been going to Marquee Salon and Spa for years. I will not go anywhere else. They are the best. I have been a client of Trish’s for many years. She goes above and beyond in all areas to ensure comfort, convenience and satisfaction. I can’t imagine going anywhere else. Her level of professionalism for herself and her employees is second to none. Best of all they just keep growing! It is obvious that education, training and keeping up with the latest trends is very important to each of them! Keep up the good work!! I struggled for years finding a stylist in my area that fulfilled my visions for hair color. Thankfully i came across Marcella – each & every experience with her has been nothing short of great & i can honestly say Its totally & absolutely worth the 1 hour (one day) drive! Currently obsessing over my all over blonde hair! Love Tim’s color skills…he is an expert at it, he keeps my cut fresh and in style, and knowledgeable of products and care! Love that eyebrow threading is available! Cleopatra has done a great job with creating a relaxing and personable salon and spa!! Cleopatra is an amazing stylist! She is the only person I trust to do my eyebrows and she always knows the new techniques and trends for hair. I’ve also had my hair styled and makeup done by Mariah and a few other girls and they are all awesome! Meraki is the best hair salon around! I have been seeing Cleopatra for brow waxes for several years now, and I have been getting pedicures with Raven since the spa opened earlier this year. I have always had a great experience. I like being able to schedule my appointments online well in advance, and I also find it easy to reschedule when I need to. As a client, I appreciate flexibility and open communication, and I get both at Meraki, in addition to excellent service. I can’t say enougn good things about Meraki! Tim has been my stylist for at least 10 years. He is professional,personable and a super stylist. His coloring expertise is the best! Looking forward to trying the new spa! Been a client of Tim’s for so many years! Excellent color and cut! He makes it easy to style on your own! I have had massages at several different places. By far, the best massage I have ever had was from Devin at Meraki. The entire staff were friendly and inviting. And there is such a peaceful, joy filled atmosphere. I am so thankful for Meraki! I have had Cleopatra as a stylist for almost 10 years and I won’t go anywhere else!! The staff at Meraki are all friendly and welcoming and they work well as a team! I’m getting married this June and couldn’t imagine my day without hair and makeup by Meraki! Love this place and the staff! Trish and Jess are the best. They are up to date on all the latest trends and fashions.The customer service is awesome, they go out of their way to make sure your comfortable and that you enjoy getting your hair done. Trish and her staff are very friendly and welcoming…the salon is beautiful and always clean! Every time I leave the salon I’m very impressed with Trish’s work! I can’t wait to try out the spa! If you’re looking for a salon, I suggest going to Meraki. The staff is so friendly and up to date with all the latest trends. The salon atmosphere is so relaxing and decorated perfectly!! Trish and her staff at Meraki are fabulous. They are both professional and personable! I appreciate their eagerness to keep up with new trends and always wanting the best for their clients. I enjoy the hole atmosphere at Meraki salon and spa. I just started going there today was my third visit and absolutely love it. Jess is great always does exactly what I want and she is very talented. I would highly recommend her. She is amazing. Meraki is, first of all, a beautiful place. The atmosphere is serene and calming. They are respectful of your time, always prompt. The service is excellent and they listen to you and your hair is beautifully styled just as you wish. I highly recommend Meraki. Always pleased with the service! I can walk in without a clue what I want for my haircut, and get great recommendations/ideas that look fantastic on me! I can fully trust my hair and eyebrows to Cleopatra! The whole team is always so friendly and knowledgeable! Trish goes above and beyond and I always leave feeling beautiful! Meraki is the BEST salon in our area, hands down. Beautiful atmosphere and welcoming staff. Trish has been doing my hair for 10 years and I won’t go anywhere else. Trish, Marcella, Casey ,Jess, Mariah – doesnt matter who you go to, they all do AWESOME work. I can always count on Trish and her staff provide professional advice and services in a timely and friendly manner! Best place in the area for your beauty needs. Trish and her staff are always smiling and make you feel welcome from the moment you walk in the door. Professional atmosphere, awesome people! Meraki is very professional and make you feel special from the time you walk in until you leave. They always tell you what will look good on you and advise products just for your hair type. Always trying to improve things to make their customers feel and look their best. Great salon! My whole family practically goes to Meraki for their services. The staff is extremely professional and they are always accommodating. The atmosphere makes you feel relaxed and at home. I have referred numerous friends and family to Meraki and wouldn’t want to go anywhere else. It’s nice to go to a stylist that knows my hair and what will and won’t work with my hair type. Trish (Cleopatra) always listens to what I want but will always talk me through styling and the cut to ensure it’s a style that I can manage on my own. If not, she will tell me… I value her honesty Bc it prevents bad haircuts from happening! She take my lifestyle and personality into consideration w every service she provides and I really appreciate that! Meraki Salon & Spa is amazing! It makes all the difference when people put their heart and soul into their work, and that is totally the case with Meraki! Simply fabulous!! A must try, if you want to feel amazing. Always leave with a smile. Excellent service, friendly staff, always work to accommodate my tough schedule. I absolutely LOVE this salon!! From the time you walk in the door until you leave, they make you feel very special. They work so well as a team and I am constantly recommending them to my family and friends! 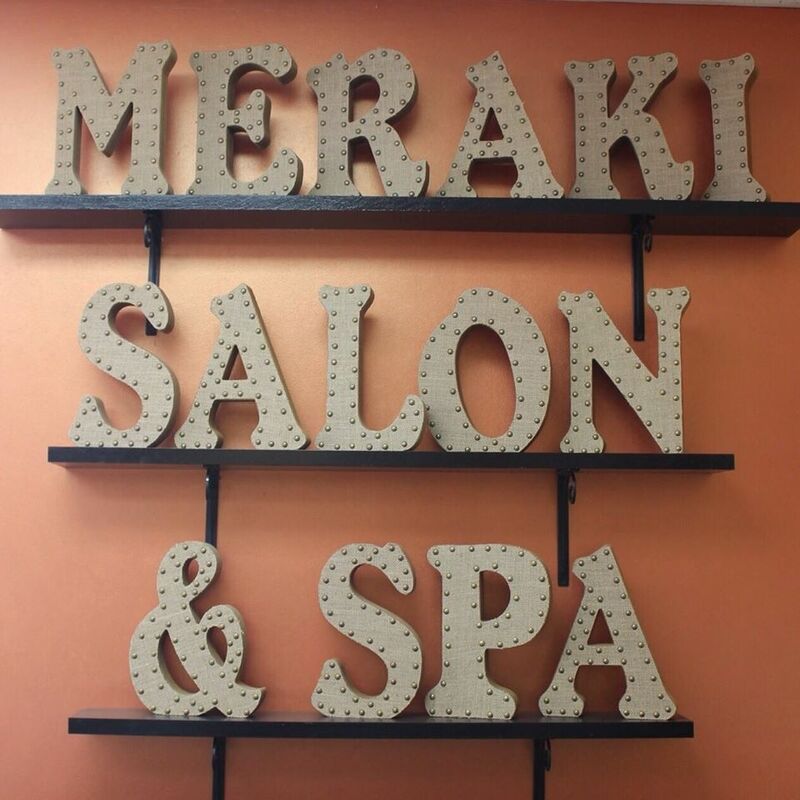 Meraki Salon is the only place to go for hair & skin care needs! Always up on the latest styles & products. Wonderful customer service, aimed at what you need/want! Trish & her team are true professionals! I can’t see myself ever going anywhere else other then to Meraki. Cleopatra has been doing my hair for about 13 years and she has never let me down. I always walk out very happy and feeling beautiful. The staff is amazing and very welcoming. The most relaxing salon in town. I have been coming here since they opened and they are the best. Best staff Ever! Always leave feeling relaxed and rejuvenated! They are wonderful at Meraki from their friendliness, cleanliness, work ethic and staying ahead of the trends! Girls are so friendly & they know the new styles & what new products work for hair all types. Relaxing place to spend the day getting whatever service you need done. Have been going to Trish for about 4 years now, she is amazing and always knows just what I need! She also does an amazing job with my little!! I have been going to Meraki for a few years now and I get so excited each time I go in. Everyone is so friendly and Marcella makes my hair so beautiful each time. I trust these girls so much that they did my wedding in 2016. I would never go anywhere else! Meraki Salon and Spa is the Now and up and coming place to get all your hair and indulgences(mind,body,spirit) taken care of!! This local business offers a warm environment, great workers with amazing team work, and amazing services. My first visit to this salon was on 3/28/18. What an awesome first experience I had at Meraki! A beautiful upbeat friendly salon. My stylist Mariah was phenomenal! She was friendly, personable, down to earth, and not to mention she totally hit a home run out of the park with my new bayalage style! I don’t know why I haven’t gone to them sooner, but this will be my salon from here on out. No one else compares to their customer service, friendliness and smiles, and comfort!! Thanks Meraki! Cleopatra was absolutely amazing to work with on my wedding day! My hair and makeup was exactly what I was looking for and I felt amazing. I love Meraki for the calm and relaxing atmosphere. All staff greet warmly and provide excellent care and service. I recommend Meraki to anyone! Meraki is a gorgeous salon that offers many great services at a reasonale price, most recently they started offering spa services (I’ve yet to check those out!). I have been going to Jess for years (I even made the mistake and cheated on her and I WILL NOT do that ever again). I travel 45 minutes 1 way to get my hair done by Jess and to be honest, she is the only one I trust with my hair. I plan to move south one day and as I’ve told Jess, I will fly home to get my hair done at Meraki!!! From what I’ve seen, everyone at Meraki has amazing skill and I’ve never seen a client unhappy!! Keep up the great work everyone!!! I got a facial with Raven in February and she gave me some wonderful tips for taking care of my skin, so I purchased a few of the recommended products. Since that time and with using the products, I’ve been receiving compliments on my skin on a regular basis. It has made a difference not only for my face, but also my confidence. I’m looking forward to my next visit! If you haven’t tried Meraki Salon and Spa you don’t know what you are missing… The most professional, relaxing salon around in the tri-state area..Cleopatra and her team of professionals go out of their way to provide the most friendly, relaxing service for both men and women… Would never go anywhere else! Clean and beautiful salon. I have my hair done by Mariah and she never disappoints. Always puts her heart into her work! Everyone is helpful and cheery. Highly recommend for your next hair / spa day. Atmosphere is amazing and so relaxing. Everyone treats you like family when you are there. They are always to work with making my schedule fit theirs. 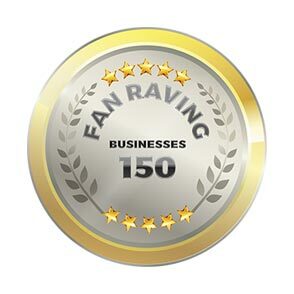 Excellent service and wouldn’t go anywhere else. Mariah has been doing my hair for about two years now and I couldnt be happier. My hair was blonde, fried, short , and unhealthy. Now my hair is growing amazingly and is incredibly healthy. Not to mention it looks fabulous. I buy all my hair care products here too since they are the best. I get my eyebrows waxed here and I’ve had false lashes put on. I can’t wait schedule a spa treatment. Love Meraki! Marcella has always done my hair just the way I want. We took my very dark hair to a blonde balayage and I love it. She’s efficient and makes sure I am happy with how it looks. The salon is beautiful and clean and the other stylists are nice and friendly. It’s always a pleasant atmosphere. Absolutely the best. Clean, friendly. It is a mistake to go anywhere else! From all the friendly faces to the amazing talent to the warm, inviting atmosphere, Meraki is amazing!! Cut, color, styling…I haven’t ever been disappointed! Meraki is the best! I recommend it to everyone I know- literally! Beyond all of the friendly faces are some INCREDIBLY talented ladies who always give you exactly what you’re looking for; from a wax, to the perfect baylage, Meraki (and Marcella) will never disappoint. The salon is always clean and the employees are friendly. Everyone pitches in to ensure you have the best experience possible. You feel like you’re part of their very close knit family while you’re there. I get my hair done regularly at Meraki & never consider going anywhere else. Cleopatra does an awesome job. They even did hair & make up for my wedding, which turned out better than i imagined. Definitely the best salon around! I love Meraki Salon and Spa! I have been to many other places to get my hair done and always felt disappointed with the way it turned out. Every time I have gotten my hair done at Meraki, I have always walked out loving my hair and the great customer service! Would definitely recommend Meraki Salon and Spa! The stylists who work here are really talented. I always leave loving the way my hair looks. They go out of their way to make sure you look good and are happy with the end result. Also super friendly! About 3 years ago I was told Jess Brown did the most amazing hair. So I decided to give her a try. 3 years later she is still my trusted hair stylist. But she is more then my stylist, she has become a friend. I look forward to my appointments so I can see her and catch up on life with her for the next 2 hours. Every person I’ve encountered at Meraki Salon has always been so pleasant and helpful. Even though it’s a more high end salon you always feel comfortable and welcomed when you are there. Just an all around awesome experience. I don’t go here all the time but when I do I have the best experience. Nothing compairs to the way the girls shampoo your hair! Getting a shampoo is the best part, 2nd best is how fantastic my hair looks after its been cut and styled! BEST EVER. BEST SERVICE. BEST PEOPLE. BEST OWNER. JUST SIMIPLY BEST ALL AROUND. I have been going here for three years and every time is a great and wonderful experience. The staff is amazing and Cleopatra is just top notch. Highly recommend for any services you need. Meraki salon and spa is the most warm, welcoming and friendly salon I’ve ever been to. Not only are the stylists so personable but they only want to make you feel beautiful, confident and to love who you are. They are constantly training and learning new techniques. All the stylists must attend mandatory classes and continue educating and developing new skills. Every time I leave the salon, I feel so much more confident from.the conversations with my stylist. My hair, makeup, skin, etc ALWAYS are perfect and exactly what I want. The salon experience and people who work there are so much more than just cutting and coloring hair. Meraki Salon and Spa is AWESOME! The stylists take a personal interest in all the clients. Their work is AMAZING! This salon is #1 in the tri state area. I drive over an hour to go there. It’s worth it! Meraki salon did amazing job on my hair and makeup and my bridesmaids hair and makeup for my wedding! I would recommend them to everyone! Beautiful salon, top notch stylists and friendly staff. The atmosphere and people are calming and make it an enjoyable experience! Casey does an amazing job with my hair and I keep going back because she is the only one I trust to do my hair now! I absolutely love Meraki Salon & Spa! I wouldn’t trust anyone else with my hair! They take passion in what they do and you can tell through their work! Casey has been doing my hair and never had a bed experience!! All of the stylist are rock stars and the salon is amazing!! The atmosphere at Meraki is amazing; you feel welcomed as soon as you walk in. All the girls are focused but you can tell they love what they do; the smiles, laughs, and conversations are so full life and happiness. I love this salon!! Thanks Merak I!!! Casey Lehman is an excellent stylist. Always up on new and trending ideas. My hair was a wreck when I came to her and it is now again healthy. Thank you Casey for making me feel better about myself. I live in York, Pa but I am from chambersburg. I drive an hour and twenty mins to have Casey do my hair. She has done exactly what I wanted every time and each time has been amazing! I started going to see Casey At Meraki almost two years ago and I’ll never go anywhere else! She always does a fantastic job. The salon is so welcoming and everyone is always friendly. They’re the best! Casey always does a fantastic job, staff is very friendly! I’ve been going to Meraki since it opened and it’s all because of Casey! She is patient with me when I can’t make up my mind, and always makes me feel good and look fresh. She is easy to talk to and makes the salon experience that much better! Meraki is a great salon with wonderful people working there! I absolutely love it here at Meraki! Casey and Marcella do my hair and they are both very sweet. They take the time to make sure you get what you want; I never feel rushed and I’ve certainly never been disappointed!! Check it out…you won’t regret it! The salon is great, and very classy. Makes a wonderful experience, and of the staff is friendly. Casey has done my hair a few times, and every time I get tons of compliments. She takes her time, and always makes sure she understands what look you’re going for. Meraki is a lovely welcoming salon with every service imaginable. I love Jessica Brown. She is the best. She is better than Truvy from Steel Magnolias. She strives to make her clients beautiful inside and out. Jess is simply a beauty expert. The salon is beautiful and all of the other stylists are fun and very helpful! I’ll never go anywhere else. We have been going to Trish & her stylists for years now. They are the best! Her salon is professional, gorgeous, welcoming, and we feel like family. They are also active in our community….always paying it forward & going above & beyond for others! I have been going to Jess for years now. She has been the only one I have every truly trusted with my hair, and she always does such an amazing job. Meraki is the perfect fit for her and I enjoy my pampering time here immensely. The staff is absolutely wonderful and every appointment is beyond perfection! Love Meraki Salon. The new spa is open and is lovely place to have services done. Jess and the staff always make you feel beautiful and welcomed! I highly recommend! Meraki Salon and Spa is fabulous! When you walk in everyone greets you with a smiling face. Jess does an amazing job. She always makes my hair look like what I want. I would not go anywhere else. I have been a client at Meraki for a few years now. It started when I came in for my wedding consultation. I loved the service and quality of work so much, my whole wedding party came to the salon to be made up for my special day. Jess has been my stylist ever since that day. I am such a fan that even though I no longer live in the area, I still drive the hour long car ride to have Jess do my hair! Everyone there is so nice and they make you feel comfortable, The owner really is amazing and knows how to staff her business with caring and knowledgeable individuals! As soon as you walk in, you are greeted with smiling faces each and every time. Everyone who works in there is extremely professional and does absolutely AMAZING work!! They take care of you not just as a client, but a best friend and family. You will not leave disappointed!!!! Meraki Salon is exceptional! The atmosphere is relaxing and fun and the staff are all friendly and very talented. I would highly recommend the salon for any type of service as they excel in all areas of beauty! Everyone at Meraki is friendly and welcoming, and I always leave feeling 100x better than before! My hair is always just how I want it. I would recommend Meraki to anyone who desires a high quality salon & spa experience. I have been going to Metals ever since they opened. I see Jess every time! Absolutely love her and she always does an amazing job. They did mine and my bridesmaids hair and makeup for my wedding too! Will always recommend!! The staff at Meraki truly cares about their clients! I have never walked away with a bad expirence. They greet everyone with open arms. Casey always knows exactly what I want 🙂 I would reccomend Meraki salon and spa to everyone!!!! I love going to Meraki Salon and Spa because everytime I go there to get my hair done it looks amazing. Meraki staff are always super kind and Jess is amazing at hair! She always has a good suggestion for my very thick hair and does an amazing job on color. I continue to drive an hour to go there! Every time I go to get something done to my hair they make me feel beautiful and I’m always so pampered. The staff is wonderful as well. Everyone is so sweet and wonderful. Meraki Salon and Spa is amazing in all aspects. It’s a beautiful, clean salon, perfect staff, and everyone leaves satisfied!! I refuse to go anywhere else! Absolutely the best salon around. I couldn’t ask for better service. I like how they are always learning and applying new ideas and techniques that customers ACTUALLY want. Very professional staff and I always leave feeling refreshed and rejuvenated. All the stylist are AMAZING at Meraki!! Fun relaxing atmosphere and you always leave feeling beautiful! The salon and staff are amazing. No matter the time of day, they are all cheery and willing to give suggestions. I don’t go anywhere else for my hair and I don’t let friends cut it for free. I only trust Meraki. The owner has been cutting and styling my hair for years. I know she only hires the best staff to continue their rise to hair styling fame. The atmosphere is relaxed and comfortable. I highly recommend Meraki to any of my friends looking for a hair cut or a new style. No other Salon can even come close to their excellent customer service, great style and friendly nature. I only trust one person with my hair Trish!!! She is the best and always does everything she can to make her customers happy! I\’ve had a couple of the girls do my hair-cut and color! Doesn\’t matter who does my hair, I always come out a very happy Customer! They definitely know how to do color!!!! Recommend them anyone says they are looking for a salon! Awesome girls. Friendly service!! Love what they do! I have been with meraki since they first opened and refuse to go anywhere else. The whole staff is caring and makes the whole experience that much better! I am always excited for the next appointment because I know I will always get exactly what i want and i usually don\’t have to say anything Jess always knows! I have been going to Casey Lehman for 3 years and I love her work! I even take my daughter to her. She is so genuine and does amazing work. Always leave pleased with my hair color and cut by Jess!! Amazing service and environment. Casey Lehman is creative and does an outstanding job! Meraki has done nothing but perfection with any of my beauty needs! Casey is the go to girl here for your look. I have never left the salon feeling dissatisfied with the finished product or customer service! Everytime I come to get my hair done, I leave happy and satisfied. Casey is amazing and will help you achieve your hair goals. Everyone is friendly and very inviting as soon as you walk through the door! They have such an up beat vibe when you go there. Everyone is always smiling and greetting you as soon as you get there. Jessica Brown is my stylist I have gone to and she is amazing. Her color is spot on. Her cuts are perfect and she will do what she can to make sure you are happy with your finished product! Defiantly my favorite salon of all time ! I go to Casey at Meraki and she is wonderful. She always knows just what will work for me and translates what I want. The salon is so nice and comfortable inside and everyone is nice. I’ve been visiting Meraki salon for almost two years and I’ll never go anywhere else! Casey is great, my hair always looks perfect. Everyone else at the salon are very friendly and I always feel welcome. Great place! Casey Lehman (no relation just to prove I’m not biased) has cut and styled my hair a few times and I’m never disappointed. The entire salon has a wonderful atmosphere and I am always greeted with a smile and made to feel at home. Casey has also shown great customer service with her personality and availability when me and my family have needed a last minute cut and style. Ranging from my daughter’s back to school hair cut to when my grandfather passed last year and Casey fit both my mother and I in before we had to go to the viewing. Thank you ladies and keep up the awesome work ! I love Meraki and my stylist Casey! Everyone at the salon is friendly, eager to help and they stay up on new trends, styles and products! For me it’s one stop shop for my busy schedule. I highly recommend the salon for hair and check out the other services. I have followed Casey for years, she has never disappointed me. She always exceeds my expectations!! I would trust any of the professionals at the salon with my personal needs. The atmosphere of the salon is always bright and uplifting and the mascot (Taki) is an added touch! Everytime I go in for an appointment I am warmly greeted and everything is running on time. Jessica Brown always takes great care of my hair with suggestions on style and products – you can also tell she loves what she does and where she works which only adds to the experience! I recommend Meraki to everyone! Such great service, I\’ve never loved the results of my hair more than when I leave from my appointments with Jess! This place is absolutely amazing. The staff is so wonderful and they know what they are doing. Jessica is and has always been my go to girl and she is AMAZING with all things hair. This salon is the best hands down! I drive almost an hour to go here! Jess always has me looking fabulous when I leave!!! Jess and Casey have done my twins hair and they are amazing! Everyone in the salon is always so friendly! I won’t go anywhere else! I really enjoy going to Meraki Salon and Spa. As soon as you walk in you are greeted and everyone is nice and friendly. They do an excellent job with hair and makeup. They did my hair and makeup for my wedding and it was perfect and everyone loved it and was asking about where I got it done at. You get exactly what you ask for and walk out happy that is the best!! The service I receive and the quality of work performed by my Stylist is always Top Notch. Now, it doesn\\\’t stop there. Everyone working at Meraki is extremely Talented and Professional. They keep up-to-date with the latest Hair Color/Style/Cut trend and even makeup. I absolutely love this Salon and would HIGHLY recommend it to anyone looking to feel and look their best!